BEIJING, -- China's People's Liberation Army Navy (PLAN) commissioned its fifth Luyang III-class (Type 052D) destroyer on 22 January. Named Xining (with pennant number 117), the vessel is the first Type 052D to be assigned to the PLAN's North Sea Fleet, with the other four ships allocated to the South Sea Fleet. The commissioning ceremony took place at the Guzhenkou naval base south of Qingdao and was conducted by Rear Admiral Zhang Wendan, the newly appointed commander of the North Sea Fleet. The 7,500-tonne Type 052Ds have two vertical-launch system (VLS) grids each containing 32 cells: one forward of the bridge and the other forward of the hangar. The VLS supports the HHQ-9A long-range surface-to-air missile, giving the ship an area air-defence capability. The VLS is also thought to be capable of firing land-attack and anti-ship cruise missiles. 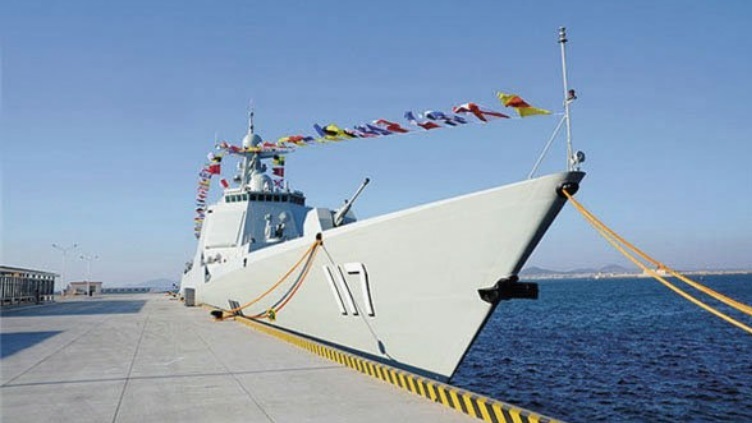 The Type 052Ds are also equipped with the Type 346A multifunction phased array radar (commonly known as Dragon Eye). 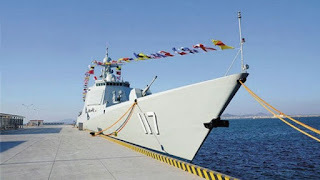 Evidence recently emerged that the Type 052D destroyers are also fitted with variable depth and towed array sonars, which give them considerably greater anti-submarine warfare (ASW) capabilities than the PLAN's previous classes of destroyer. The VLS may also be equipped with a stand-off ASW torpedo-carrying missile. The vessels' twin hangars are capable of embarking either Harbin Z-9 or Kamov Ka-28 anti-submarine helicopters or Kamov Ka-31 airborne early warning helicopters. The People's Liberation Army Navy North Sea Fleet commissioned its first Luyang III-class (Type 052D) destroyer on 22 January.